It’s estimated that effective platooning of trucks in Australia could result in more than $300 million in fuel savings annually for the Australian truck fleet. So as the National Transport Research Organisation, ARRB was fortunate to have a visit from one of the world's foremost experts on platooning technology - Peloton Technology. The Califonia-based company's Vice President of Advanced Development and Product Planning, Shad Laws, and Vice President of Business Development, Matthew Hall, visited ARRB's Melbourne headquarters at the National Transport Research Centre. There they met with ARRB’s CEO Michael Caltabiano, Victoria's State Technical Leader Samantha Taylor, and the company's Future Transport Technology team Dr Charles Karl, Dickson Leow, Dr Ronny Kutadinata and Brittany Croft. 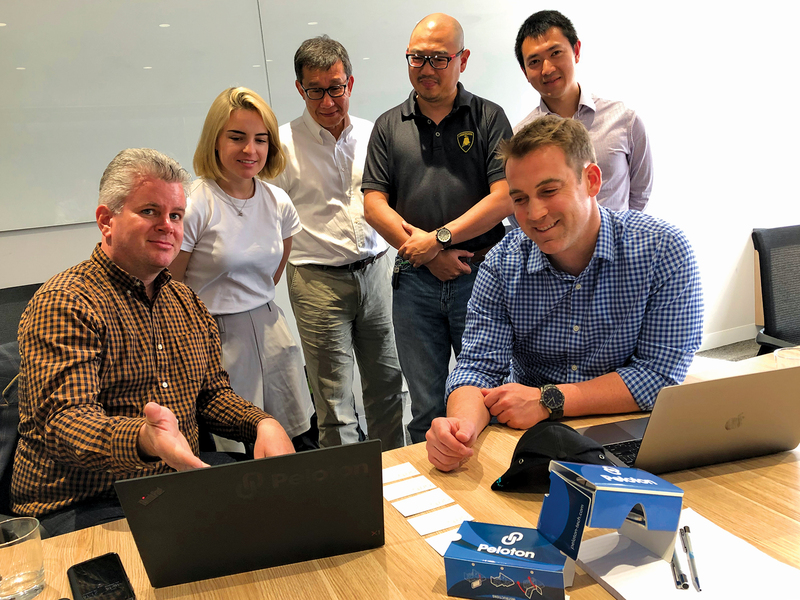 Peloton's Shad Laws (left) and Matthew Hall (seated) discuss their technology and its potential application to Australia with ARRB's Brittany Croft, Dr Charles Karl, Dickson Leow and Dr Ronny Kutadinata.